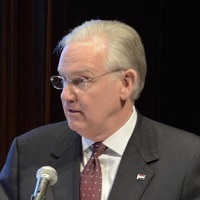 Missouri Governor Jay Nixon contends he signed legislation in 2013 to address how private lawyers are brought in as public defenders. After Nixon withheld $3.5 million from the agency, its director, Michael Barrett, assigned the governor to one of its cases. Barrett assigned Nixon as a protest to the governor’s move to withhold funds. Nixon claims the Public Defender’s Office failed to spend $1.8 million it’s been allocated. The office says what the governor’s referring to is not actual money, but spending authority. It claims such money was never available because it was never collected. The office also sent Missourinet a spread sheet showing the agency spent all but 52 cents of the money it was allocated in fiscal year 2016 which ended June 30th. Nixon claims the Public Defender’s Office has received a 15 percent increase in funding in the 8 years he’s been governor. The $3.5 million he’s withholding from the agency is part of an overall $115 in withholds he made to address a fourth-quarter shortage in state revenues from projections. Part or all of the money could be restored to government operations if tax collection are greater than forecast in the coming months.